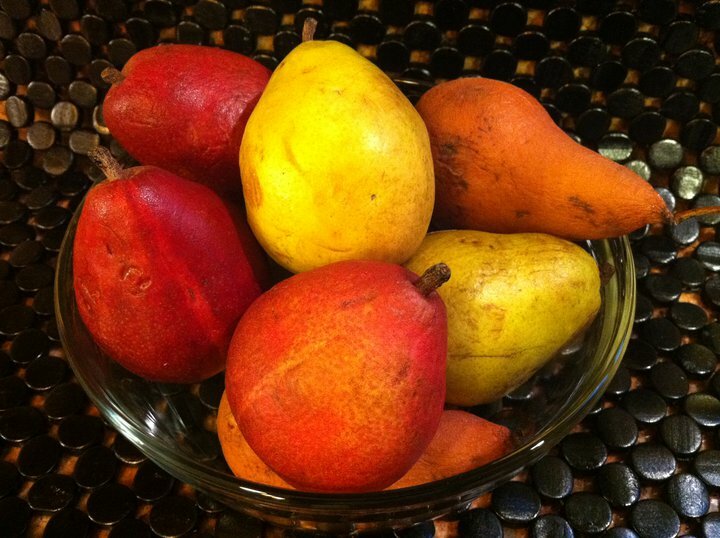 Make sure your pears are nice and soft for this recipe! Whipped eggs. These eggs are whipped for many minutes until they form a "ribbon-like" consistency! The time between when the butter browns and when it burns is not very long, so watch it carefully. 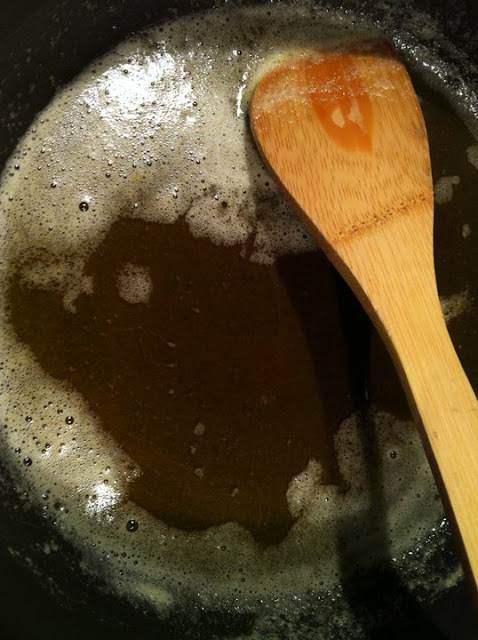 Butter is best browned on medium to medium-low heat. I served this cake with almond whipped cream. Delicious! What is better than pear, browned butter and chocolate? Nothing, right? You're probably on your way to the kitchen right now! 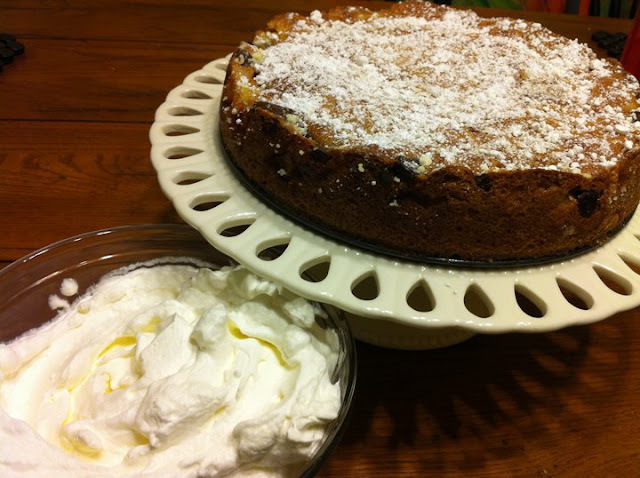 Beating the eggs is a bit of a task in this cake, but well worth it. You will be beating the eggs for many minutes, well beyond "fluffy", until they become ribbon-like. 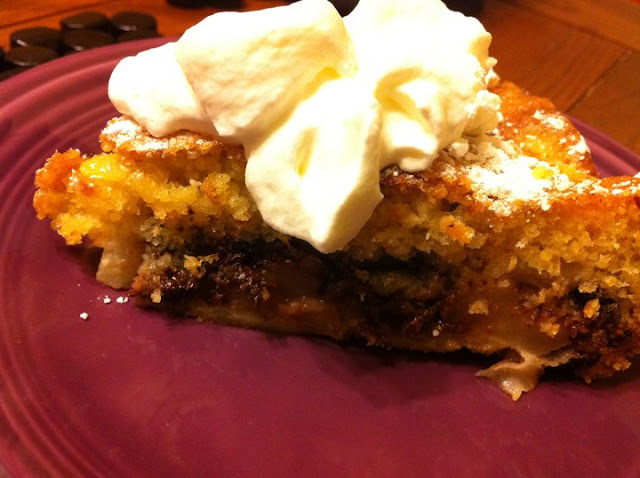 When you pour the pear and chocolate on top of this cake, you will be thinking, how does the cake get on top? Somehow the cake rises above the pear and chocolate and tucks them underneath! Preheat the oven to 350°F. Butter a 9-inch springform pan and dust with breadcrumbs (I cheated and used flour), set aside. Sift the flour, baking powder and salt together, set aside. While the eggs are whipping, brown the butter. Melt the butter in a medium saucepan (because it will foam a lot) and cook it until the butter browns and smells nutty (about 6 to 8 minutes). 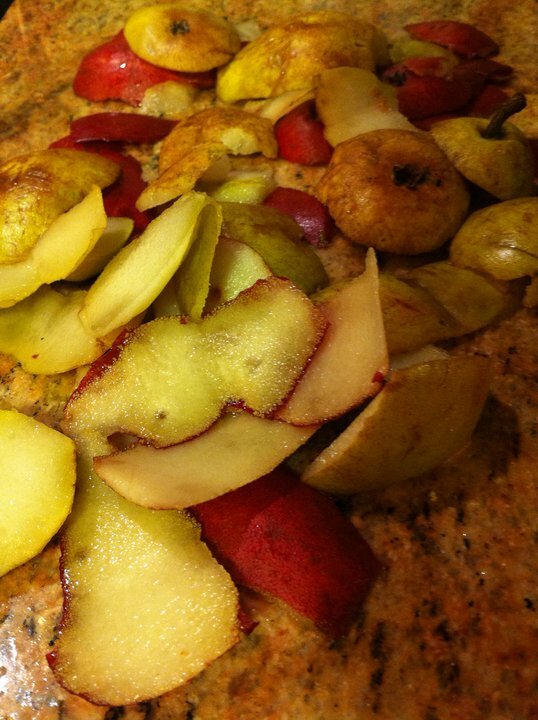 It helps to frequently scrape the solids off the bottom of the pan in the last couple minutes to ensure even browning. Remove from the flame but keep in a warm spot. 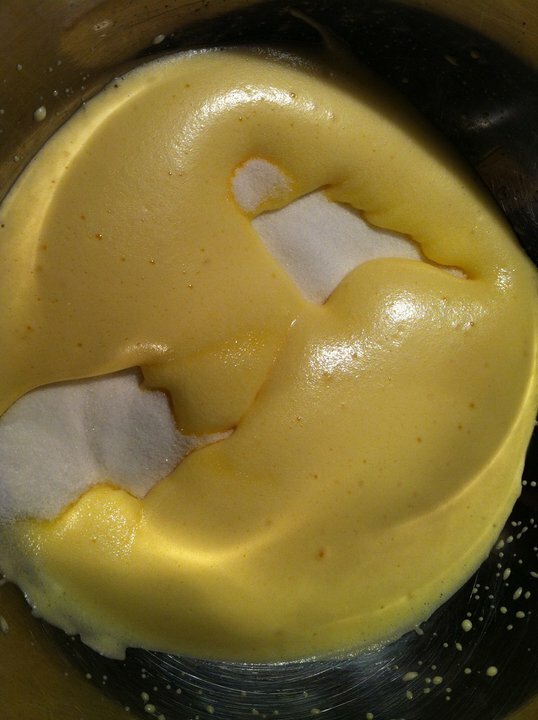 Add the sugar to the eggs and whip a few minutes more. Just as the egg-sugar mixture is starting to loose volume, turn the mixture down to stir, and add the flour mixture and brown butter. Add one third of the flour mixture, then half of the butter, a third of the flour, the remaining butter, and the rest of flour. Whisk until just barely combined — no more than a minute from when the flour is first added — and then use a spatula to gently fold the batter until the ingredients are combined. 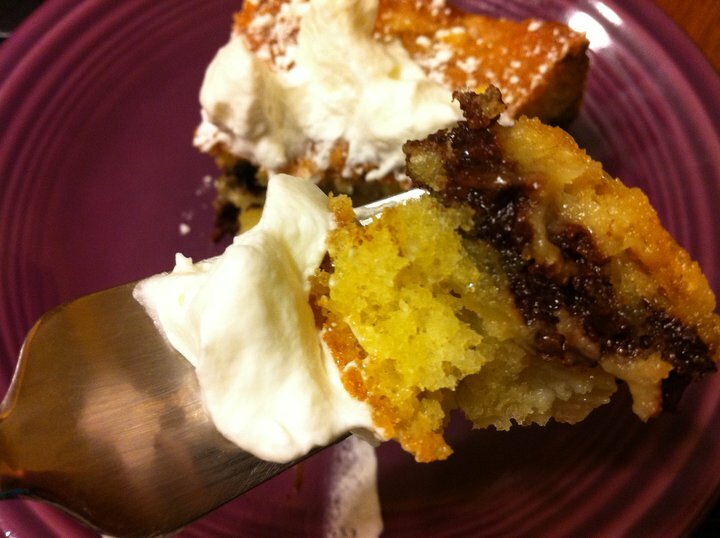 It is very important not to over-whisk or fold the batter or it will lose volume. Pour into prepared pan. 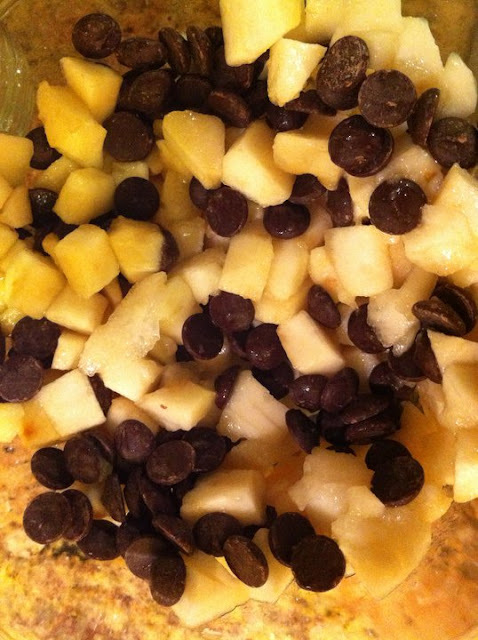 Sprinkle the pear and chocolate chunks over the top, and bake until the cake is golden brown and springs back to the touch, about 40 to 50 minutes [updated, thanks for your responses], or a tester comes out clean.